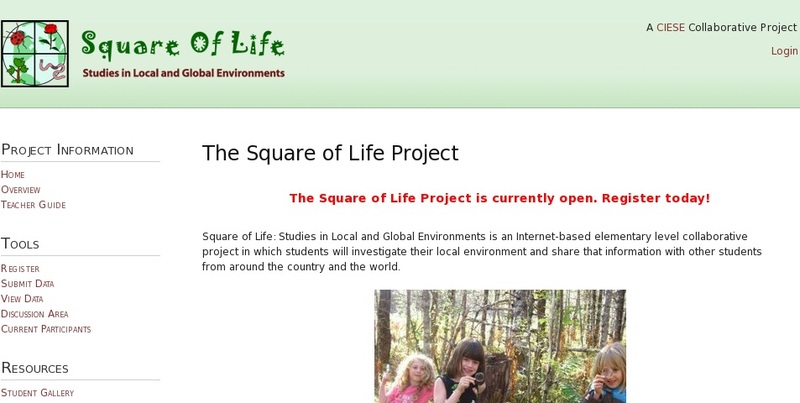 In this Internet-based collaborative project, students will investigate their local schoolyard environment and share information about the plants, animals and non-living objects found there with other students from around the country and the world. Participants will look for similarities and differences in the reported data and prepare a final report or presentation based on their findings. The site includes project instructions, a teacher guide, project data, links to reference materials, and an ask an expert section.